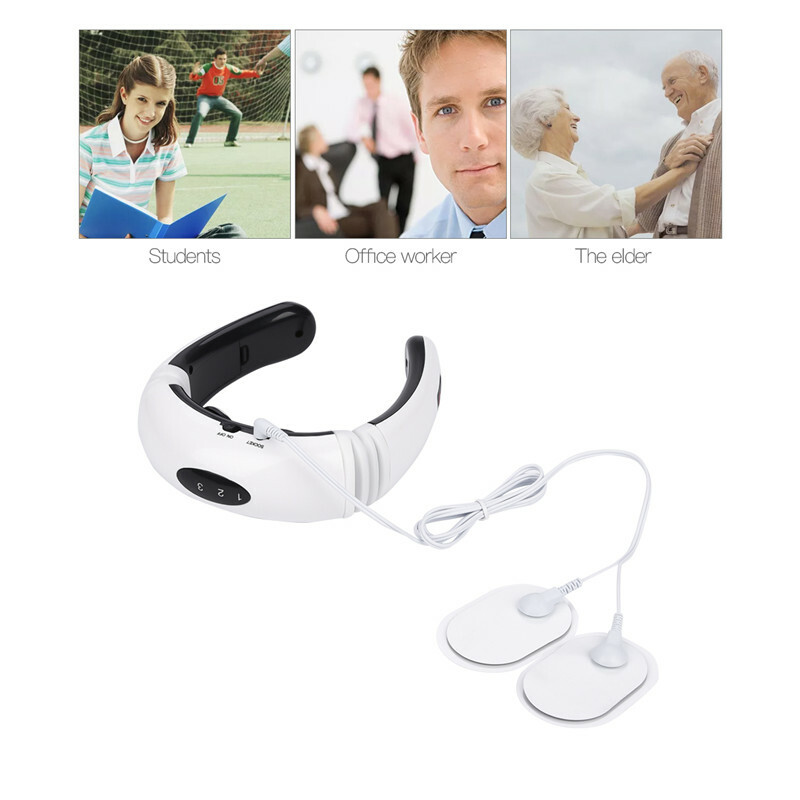 This Electric Pulse Back and Neck Massager is an electric pulse massager that eases the muscles tension and cervical fatigue. Ergonomics. 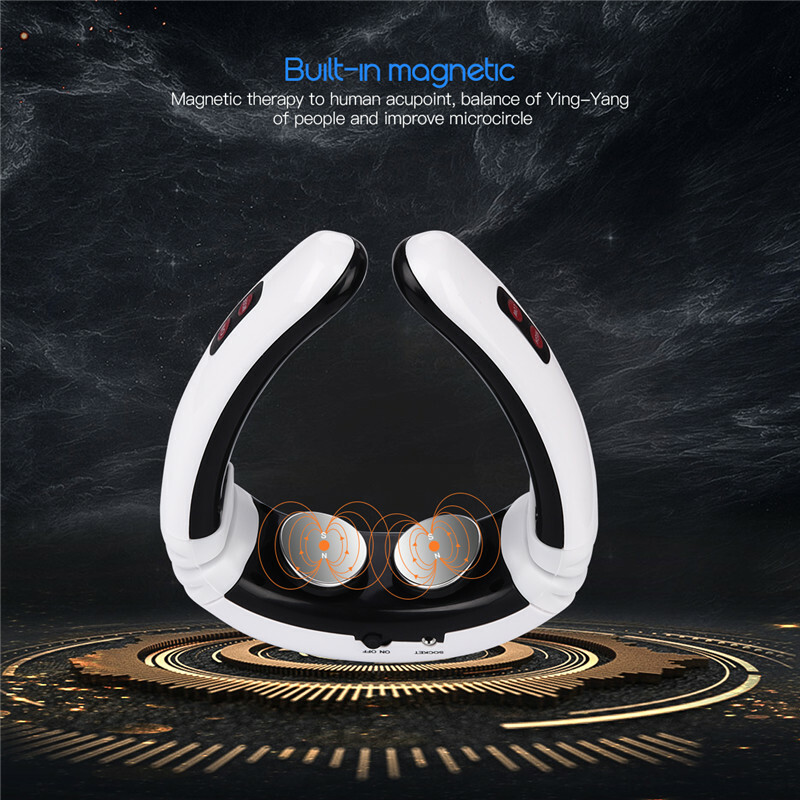 The massager adopted U shape, is in accordance with the streamline and ring-type design of human neck cervical. 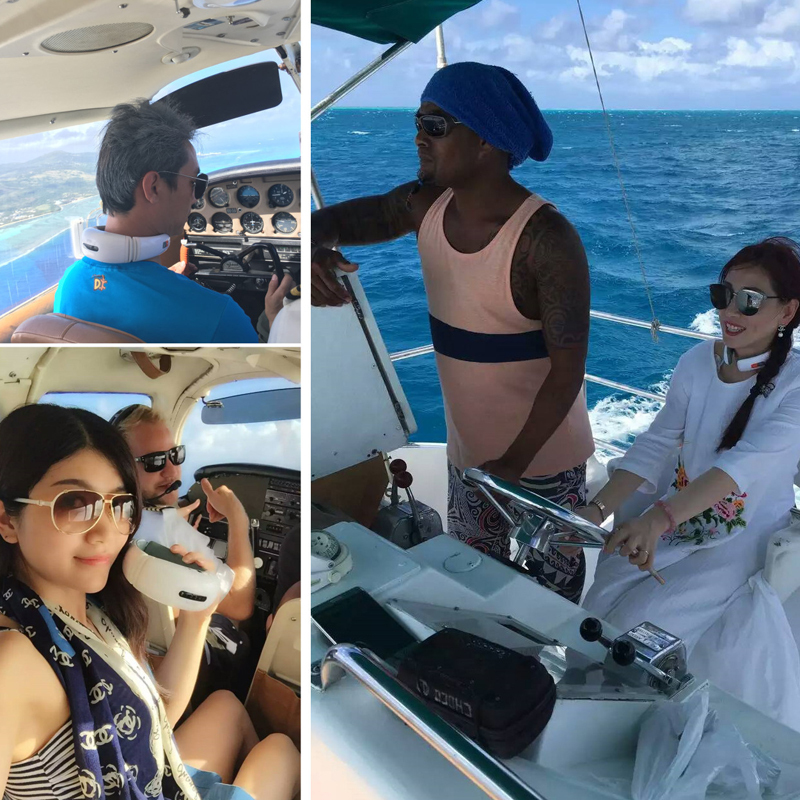 What’s more, the neck strap can be adjusted to 160°, you can adjust it freely. 6 modes transferable and 10 kinds of intensity adjustable. You can choose any mode or intensity according to your need. Electric pulse massage. 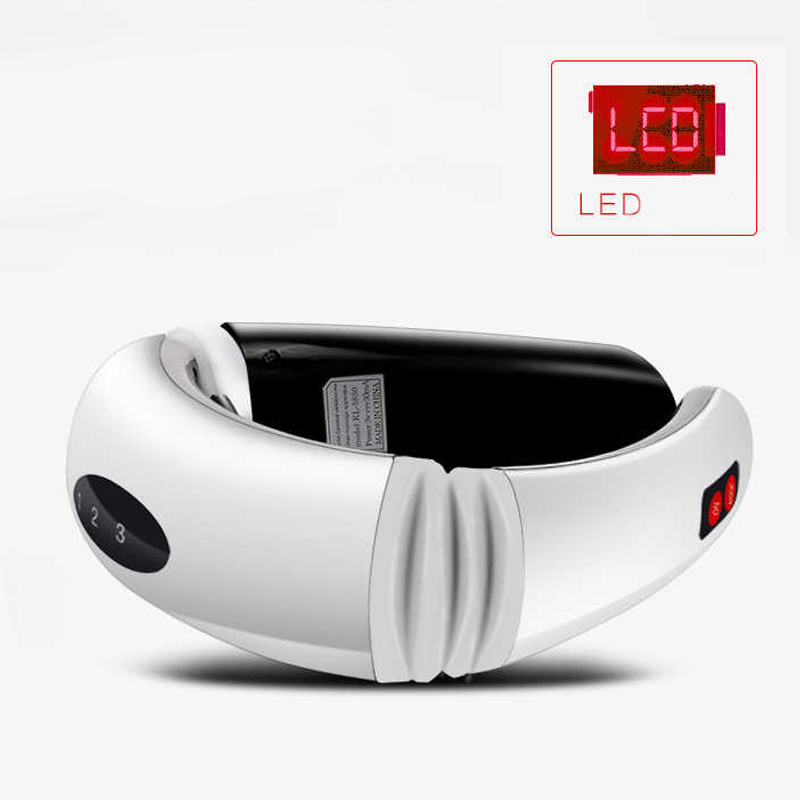 It can stimulate repeatedly nerve acupoint to promote metabolism, relax muscles and eliminate soreness etc. Electrode patch. It combines a variety of massage techniques in traditional Chinese medicine, promoting blood circulation, massage coverage more widely. Massage Mode: (1) relax massage mode; (2) cupping mode; (3) scraping mode; (4) hammering mode; (5) acupuncture mode; (6) massage mode. 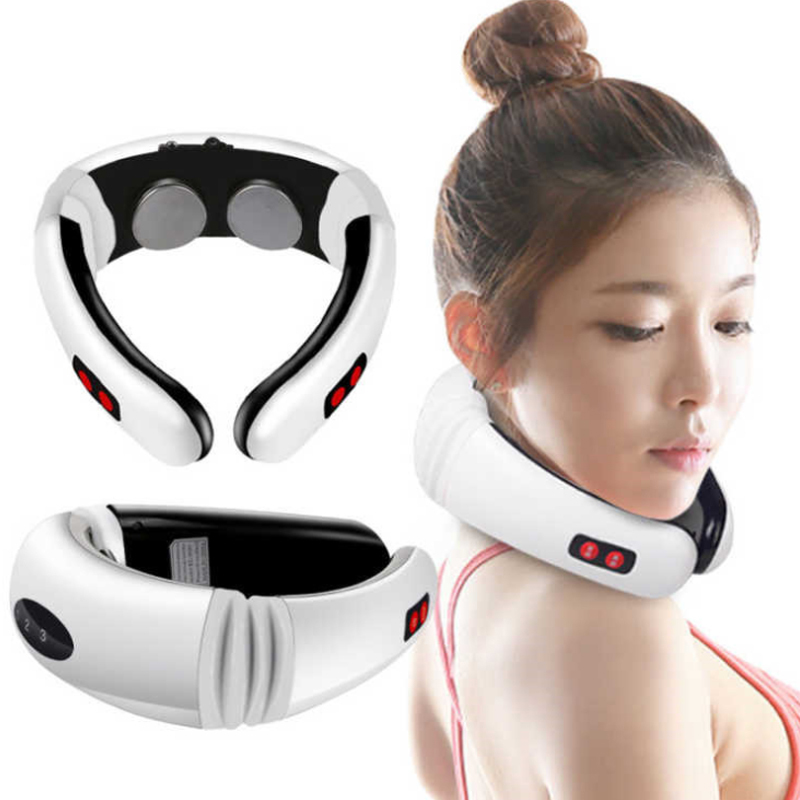 Take on-the-go therapy for instant relief with this electrical neck massager. Get optimal neck support and therapy anytime anywhere. 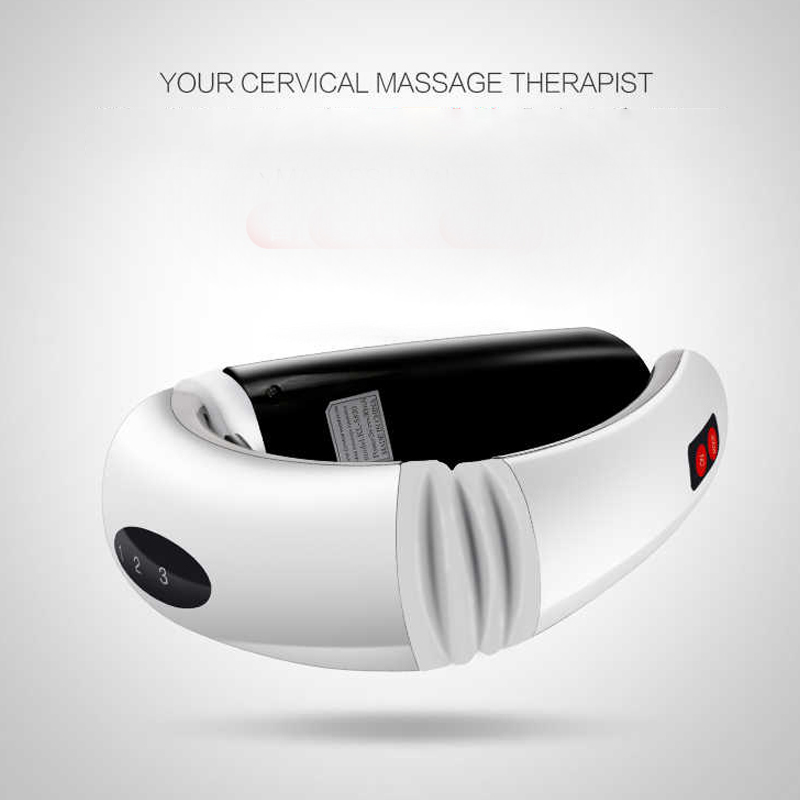 It mimics genuine massage where therapists use thumbs and knuckles for muscle rehabilitation and pain relief. 6 modes available. 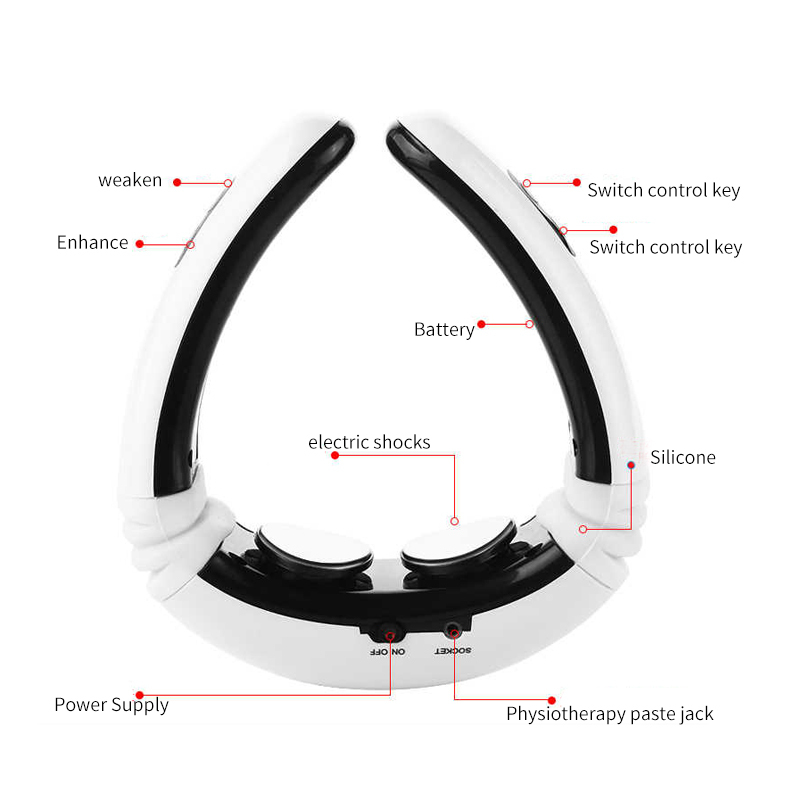 Ergonomically designed to automatically adapt to the shape of your face, neck and head. 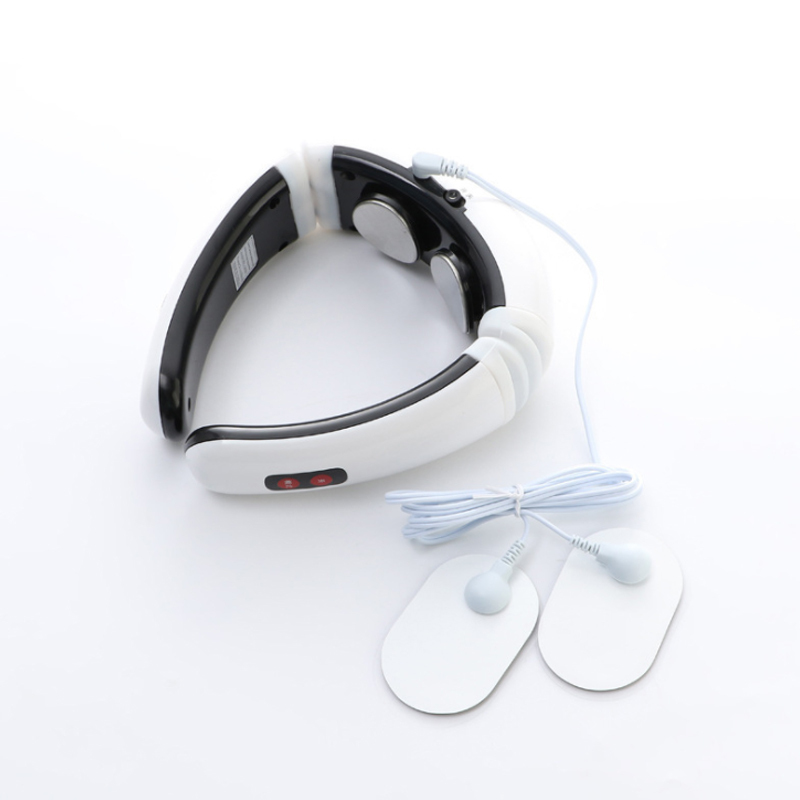 Dual magnetic pads are built in to generate light stimuli. Use extra rubber pads to deliver safe, constant and comfortable massage across multiple aching areas. Cordless. Powered by 2 AA batteries. LED display. Take 15 minutes massage everyday. An excellent tool to help you get better sleep and health. The package. 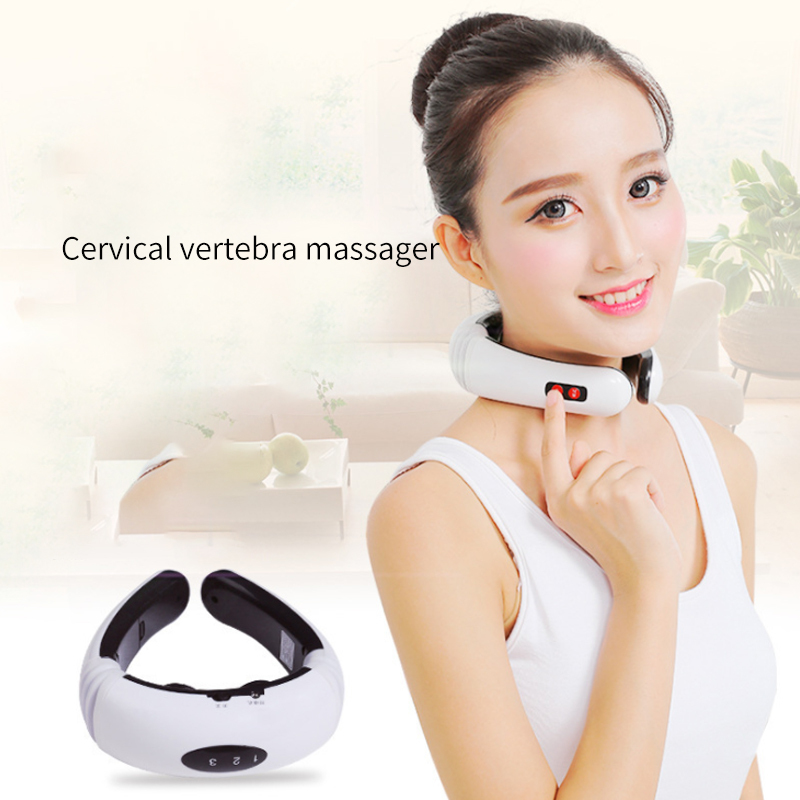 Note: please get your neck wet with towel or wipe before using the massager.